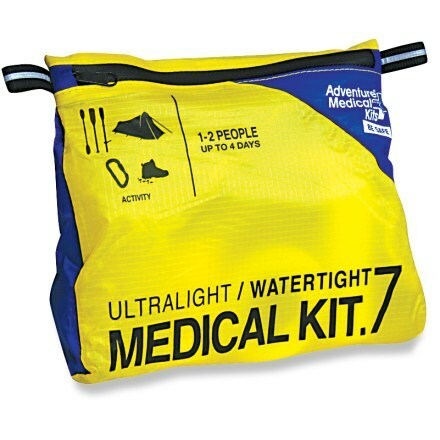 Adventure Medical Kit’s Ultralight & Watertight .7 is a nice group first aid kit when hiking in the backcountry, paddling down the river, or car camping near home. Plenty is offered in this 6oz (178g) kit. 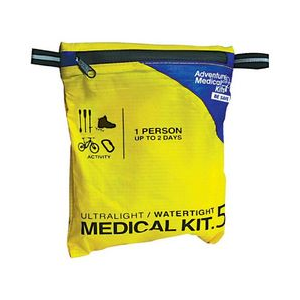 Its waterproofing allows you to store it in the top of your pack without concern for rain or rapids. I have been carrying the Ultralight & Watertight .7 on various day hikes with my family during the summer. I am fortunate to say that I have not needed to actually use any of the materials inside, and my hope is that it stays that way. 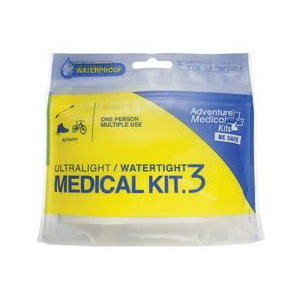 The kit is waterproof, primarily through an inner zip-locking dry bag. I have noted the inner bag can unzip without careful attention to closing it firmly. It would be nice to see a slider tab on this inner bag to ensure closure. A secondary layer of protection is the outer bag, which is seam sealed, siliconized, and possessing a “water resistant” zipper. The kit measures 7.5" x 10" x 2", which is a bit large for a solo kit, but works great when sharing gear. 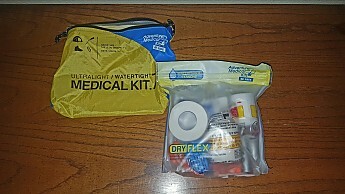 The kit is advertised for use for 1-2 people on trips of 1-4 days. I find that number to be a bit arbitrary, as the need for it will vary on a number of factors. After all, four people could be on the trail for 10 days and never touch anything in the kit. 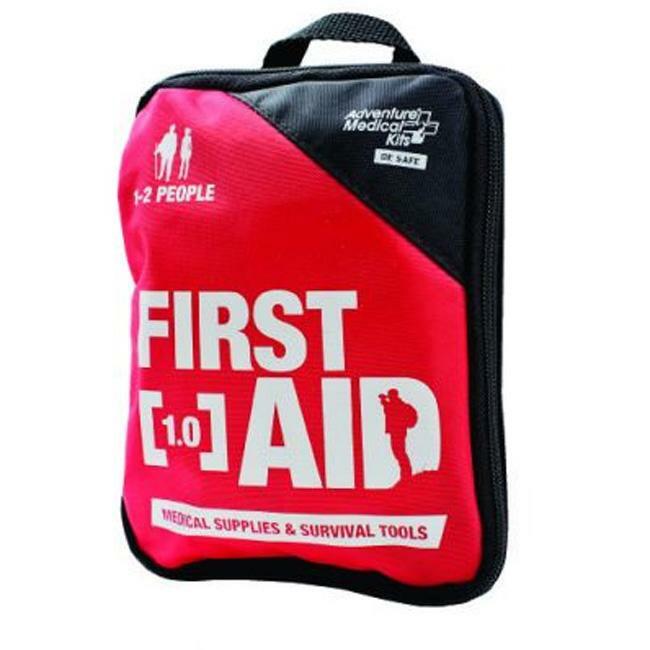 Three things I would like to see added to the kit would be a tube of burn cream, a small pair of scissors to trim moleskin, and a Sam Splint. 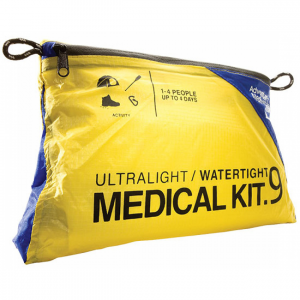 Of course, each of these can be added to the kit, and the Sam Splint is only necessary in locations without materials readily available to make your own. 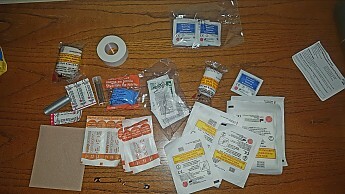 The following supply list was taken directly from Advanced Medical Kits’ website (photo is mine). 2 - Dressing, Non-Adherent, Sterile, 3" x 4"
1 - Bandage, Elastic with Velcro, 2"
The website includes a disclaimer that Advanced Medical Kits may “add, substitute, or delete items if necessary.” To that end, I noted that I did not receive 11 pieces of precut moleskin, but one 4”x4” square. This prompts my call for a small pair of scissors. Nice kit. Thank you, Trailspace for such a great prize package! Thanks for the review and letting us know what came inside your kit, Goose. This is the rare occurrence when we're glad the reviewer hasn't had to use the product much. Right on cue...my wife are heading to Colorado for hiking. On the way there, I stopped to run in a race, and I worked up a nickle-sized blister. 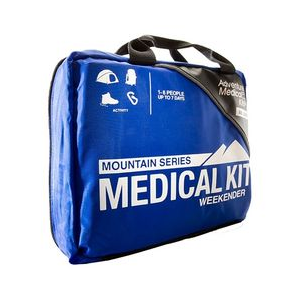 My kit was with me, and my blister was treated promptly. 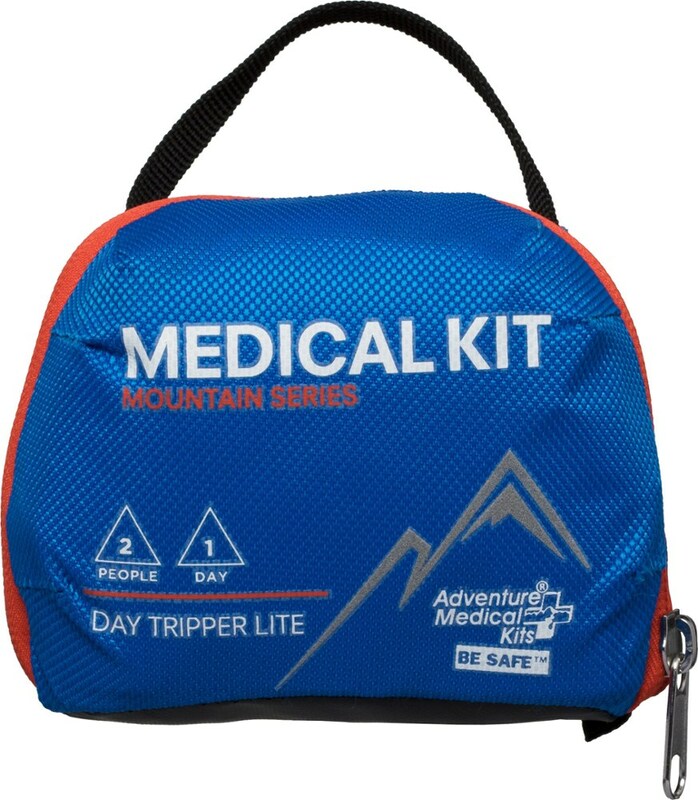 I purchased this medical pouch to throw in the main compartment of my pack and for it to withstand that abuse, and it has proven itself to do just that. It is light and got the right amount of all critical things. Everything is in a watertight plastic, Ziploc kind, bag nestled inside the yellow fancy AMK bag. It is small and light enough to be carried inside a backpack all the time. On the yellow bag, it was written that it suits to 1 to 2 people for 3 to 4 days. I do not know that part, I hope I never fall into such a position to test that statement. The interesting useful addition is that they put a piece of duck-tape. I do not know if there are still people not carrying duck-tape in their bag, it is an indispensable piece of gear. I liked it, that's the bottom line.